Apple has made much ado of Spotlight's smart, info-fetching abilities in iOS 9and OS X El Capitan, but one relatively undersold feature might just prove a lifesaver if you or your friends are frequent travelers. Both of the upcoming operating systems include a "flight data detector" that can spot mentions of flight numbers in apps and let you peek at that trip's details (a feature Google Now and Cortana users are already familiar with). This doesn't just mean the departure or arrival times, either -- in many situations, you'll also get a map showing you where the aircraft should be at that moment. 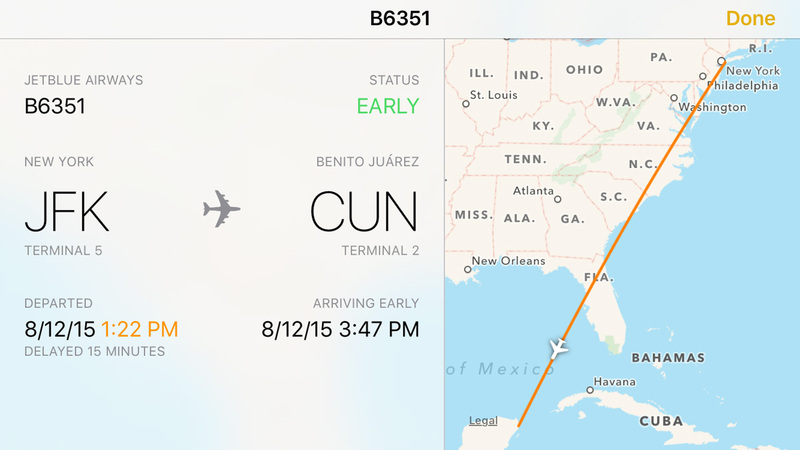 While this won't replace a dedicated travel app, it'll be handy if you want to check for flight delays or satisfy your curiosity about an airplane's location. Mapthis 5.2+ Next version GUI (Config) suggestions.